Pilates is a system of exercises developed by Joseph Pilates in the 20th Century. When in hospital he used the springs of his bed to exercise allowing him to regain his strength and fitness. From here he created the Principles of Pilates. Clinical Pilates is an approach developed by physiotherapists for managing back pain and other musculoskeletal conditions. It has been proven to be effective in reducing the symptoms and disabilities of these conditions. One of the distinctions of Clinical Pilates is that a full assessment of your movement and abilities related to each exercise is carried out initially. From there a programme is designed to meet your individual needs. At your subsequent appointments you'll be reviewed and progressed with a range of exercises. As you start to become more independent you may progress to maintaining your movement, strength and function in a class. 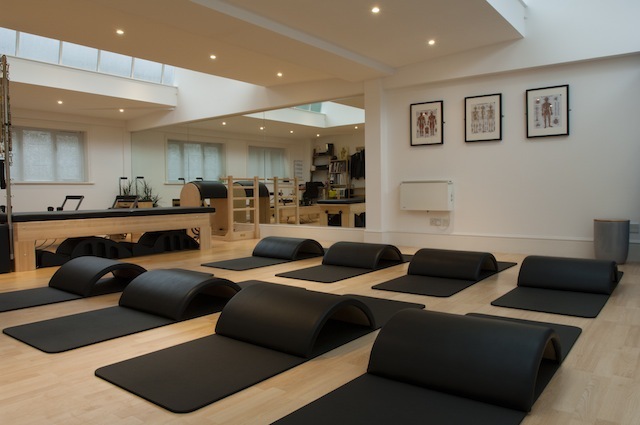 Gemma has extensive Pilates experience having completed the prestigious Polestar Comprehensive Pilates Programme alongside training with the renowned Australian Physiotherapy & Pilates Institute. She has been practicing clinically for several years teaching both 1:1 and group sessions. This has led to her becoming adept at helping those with musculoskeletal conditions looking for a proven and effective way of reducing their symptoms. Clinical Pilates is also appropriate for people who are wishing to do Pilates classes for the first time but have no previous experience. The 1:1 Clinical Pilates will focus on ensuring you are at the appropriate level to join any class you wish safely. We are lucky enough to have the opportunity to use the fully equipped Pilates studio of All Things Pilates, our sister company, in Kingston.